2006: Looking Back At PSYCH | Warped Factor - Words in the Key of Geek. Come meet Shawn and Gus. Seriously funny best friends who run the funniest fake detective agency you could hire. Oh, and they also serve as consultants for the Santa Barbara Police Department, California. By just listening to the theme song, written by the show creator, we see from the exposition of "I know, you know that I'm not telling the truth" that from day one the viewer isn't being psyched-out at all. Premiering July 2006, before other shows like The Mentalist and Medium, Psych was about a fake American psychic detective with a huge heart and very, very keen observation traits engrained in him by his estranged police officer father. James Roday stars as the "psychic" Shawn Spencer. Dule Hill, formerly of The West Wing and the Broadway stage, co-stars as Shawn's partner Burton Gustor, or "Gus" as he is called. With Corbin Bernson as Shawn's retired police detective father, Henry Spencer, the cast takes off from the first episode to the last. This is a kickingly coherent and yet funny show made from a series of fast paced episodes never letting up until the ending credits. Each episode is memorable and solid, my favorite being... well actually there are four, the ones guest staring Cary Elwes as an infamous British jewelry thief, Pierre Despereaux. 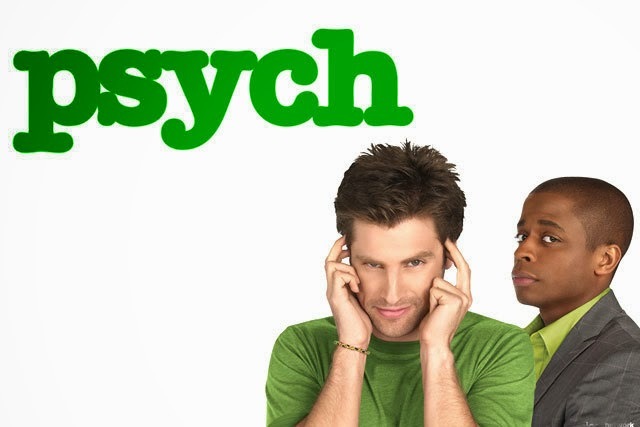 Psych was the highest-rated U.S. basic cable television premiere of 2006 and went on to run for 8 seasons and 121 episodes. Known for their various theme shows, including telenovela, teen drama, school reunion, horror camp, Hitchcock and such, Shawn and Gus have humor, logic and luck on their side. In the final season, they even did a musical. Yes, the actors sang the creative libretto written by the executive producer Steven Franks. (The aforementioned writer of the clever theme song.). 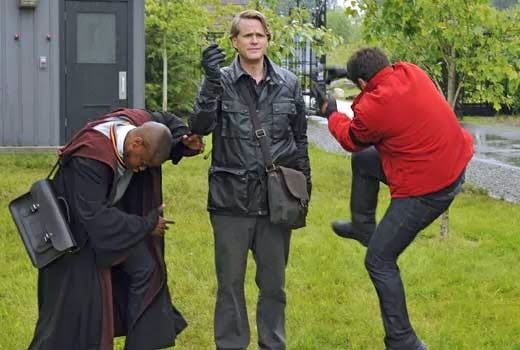 Psych is not a silly show, but it is also not a pseudo-improvisation television series either. Long term viewers are rewarded, but not by repeating a theme or storyline. 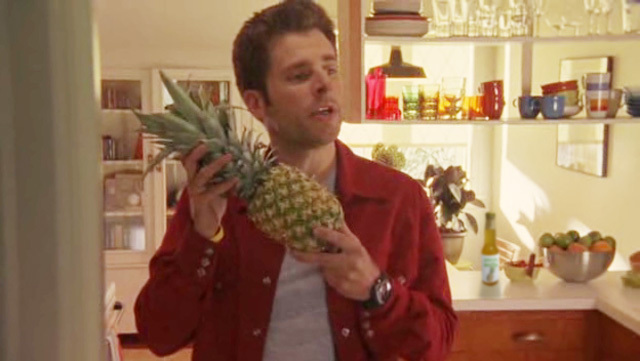 In the pilot episode, James Roday improvised by picking up a pineapple and saying, "Should I slice this up for the road?" After that, pineapples appeared in almost every episode as a running gag and the fruit became a major marketing point for the series. Fan movements, such as fan-made websites, have also been dedicated to finding a pineapple or pineapple-related object in each episode. Ultimately, Psych is a roller-coaster multi-year series of well written and solid stories that delivers from the pilot to the ending episode. If you want a new show to binge watch, join us PSYCH-os. I wish you had the full-experience, though. During the course of its run there were Psych Slumber Parties and viewing contests from the USA Network. I especially loved the texts and calls from the characters that fed the feeling that we were in on it with Shawn and Gus. Brilliant marketing further elevating a brilliant series. Get in on psyching out both the bad and good guys with Shawn and Gus. I miss my visits with them even as I write this, while remembering the theme song's promise that "your worst inhibitions tend to psych you out in the end."